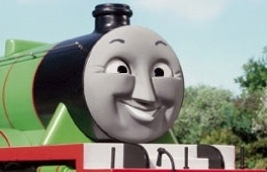 crosseyed Henry. Why is Henry crosseyed i have no idea.. Wallpaper and background images in the Thomas the Tank Engine club tagged: henry the cgi engine. Why is Henry crosseyed i have no idea.